Elevator pitch: Find and visualise datasets to create insightful presentations. 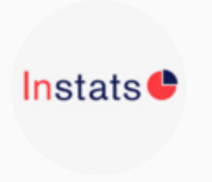 Instats allows you to discover statistics data and easily visualise it. It helps consulting companies, thinktanks and citizen journalists, to name a few, to easily use fact-based information. We met through mutual acquaintances and found that we both share the same vision for building a company. We had friends working with statistics data and they had trouble updating their presentation slides manually at a regular basis so we thought we could make that work easier. We are currently working with a thinktank that is looking for ways in which to display their reports online and visualise their work. It is about how to make large chunks of fact-based information easily understandable for the readers. ODINE has helped us by connecting to the open data community, especially with the ODI Summit and training seminars. In addition, we have received excellent mentorship through the program. Narrow down the user problem that you are solving and the value that you provide. Everything else builds from that. I would encourage them to talk with potential customers and find ways in which open data can bring value to the customers. Understandably big businesses are motivated when they see measurable value that open data can provide them. Like with any innovation, demonstrating this may take some time and I would encourage businesses to keep an eye on the open data movement as new solution emerge at a fast pace. What we have noticed through our work is the way in which data visualisation is becoming important. One example is citizen journalism where publishing stories that are based on visualised facts can have better argumentation and are easier to understand by the readers. In addition, visualisation plays an important role for the increasing number of businesses that are becoming data driven.